We provide technology consulting services to nonprofit progressive, social justice, and community organizations. Because of our tight focus, we are able to specialize in the tools that are specific to the needs of the organizations we serve. Palante Tech specializes in creating dynamic and affordable websites for a wide variety of organizations. We primarily create websites using Drupal, a leading open source content management system (CMS) that allows us to build powerful feature- and content-rich websites that organizations can easily update and administer themselves. We're also beginning to build sites with Backdrop, a recent fork of Drupal created specifically with nonprofits in mind. We pay careful attention to accessibility, usability, and information architecture to create sites that are highly effective communication tools. Palante Tech collaborates with talented graphic designers who create unique and visually appealing site designs. After sites are launched we continue to work with organizations to help with updates, troubleshooting, and adding features and functionality. Databases are an essential tool for organizing, communication, and development. Palante Tech works with organizations to identify the best database solutions to meet their needs. 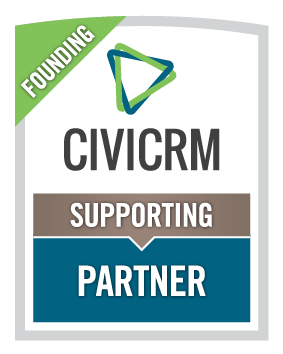 We specialize in planning, developing and implementing databases using CiviCRM, a web-based open source constituent relationship manager (CRM) designed specifically for nonprofit organizations. We also provide expert support for Access and Filemaker databases and provide data cleanup and migration services. Our monthly maintenance and support plans for Drupal and CiviCRM are designed to keep your tools running smoothly and without interruptions, your software up-to-date with the latest bug and security fixes, and your important data backed up and protected with minimal intervention on your part so that you can focus on your organization's important work. Find out more. When your computer stops working properly or you get a new one, sometimes you need a professional. We have the experience and resources to get your systems functioning for your particular needs quickly and efficiently. Palante Tech provides full support for our client's computers with a variety of support plans. We support Windows, Mac, and Linux computers with flexible sliding scale hourly rates or as part of our Managed IT Plans. Wireless networks, file servers, networked printers, data backups and more: These tools make everyone's work easier, but many small organizations don't have the resources to hire someone to maintain their technology infrastructure. Palante Tech designs and implements systems that provide the crucial tech backbone that organizations need while minimizing the need for in-house specialized tech expertise. We also provide technology purchasing and planning, helping organizations identify and obtain high-quality hardware and software that fits their budgets. We choose free and open source solutions whenever they make sense, including Debian and Ubuntu Linux, DDWRT, and Mozilla Firefox and Thunderbird. If you only call for IT support when your technology is broken, you may find yourself without someone to handle preventative care, or to provide big-picture guidance. We offer comprehensive IT support plans for a fixed monthly cost, covering the IT functions normally provided by in-house staff. For more info, check out our Managed IT Plans. Palante Tech provides a wide range of training services, from one-on-one tutoring to large group workshops. Our individualized training and documentation plans for Drupal and CiviCRM projects are designed to address each organization's particular needs and website maintenance strategies, including both basic user and administrator training. We also provide training on general computing, internet usage, and specific software for users at all levels of technical expertise.